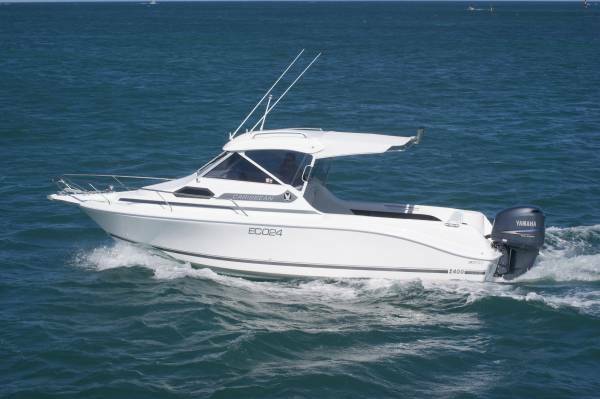 **COMPLETE TOW AWAY PACKAGE** The Caribbean 2400 Hardtop is the, BEST VALUE, BEST PERFORMING, BEST RE-SALE LARGE TRAILER BOAT AVAILABLE. 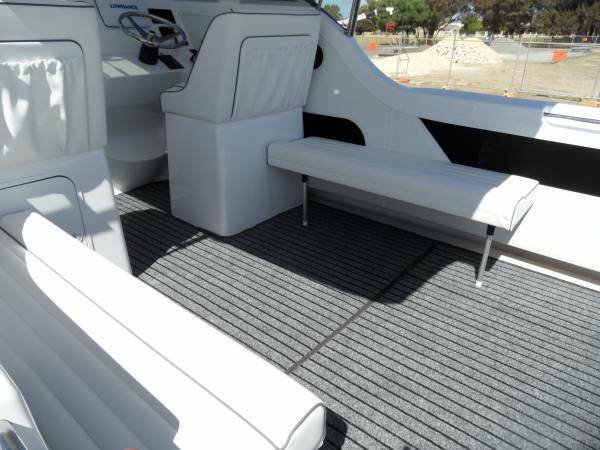 With the wide beam, huge deck area and seakeeping others try to match it really is at the top of the list! 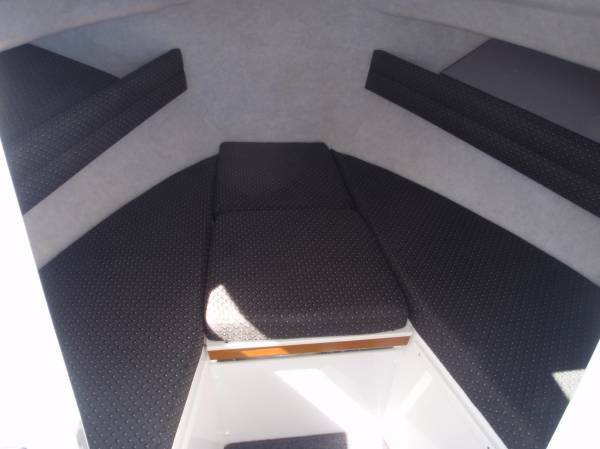 This price is the retail price for complete boat with the below noted options. 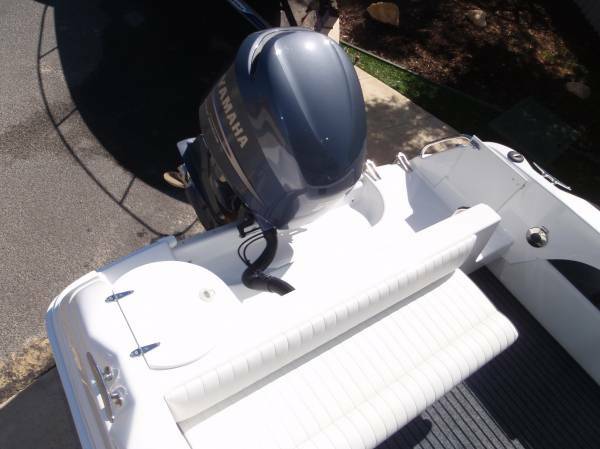 This price is for a Single 225HP, with the below options and on a trailer. Deck ropes, fenders and spare anchor. Note: The photos in this add are of various different boats with various features, some of which are standard and some are optional. You can specify any brand engine/s up to a total 300HP ( twins or single) Or go for the V8 EFI Sterndrive model or a diesel? 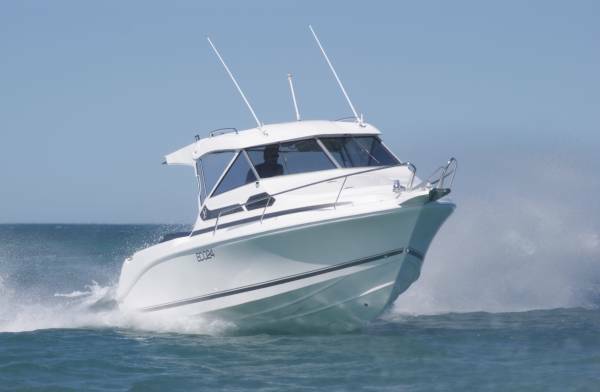 When fitted with a Yamaha 250HP 4 stroke with ETS she will run to 38 knots with economical cruise at 24knots / 38 lph apx). 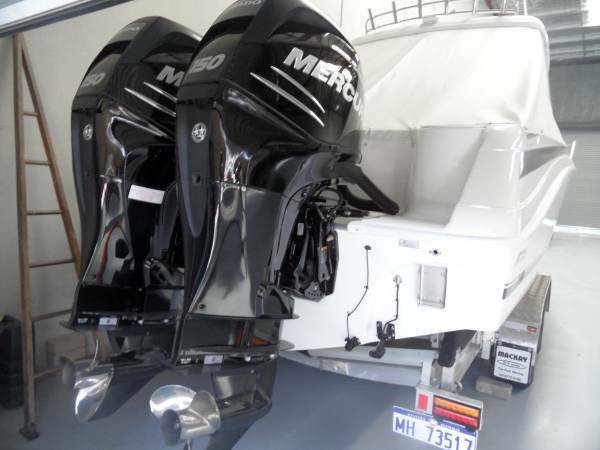 You may choose twin 150HP Mercury Verado's and get 45 knots. The choice is yours. 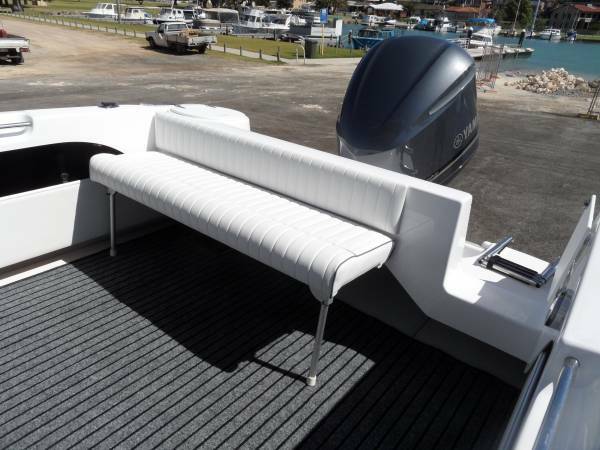 We can customise any new Caribbean to your requirements. 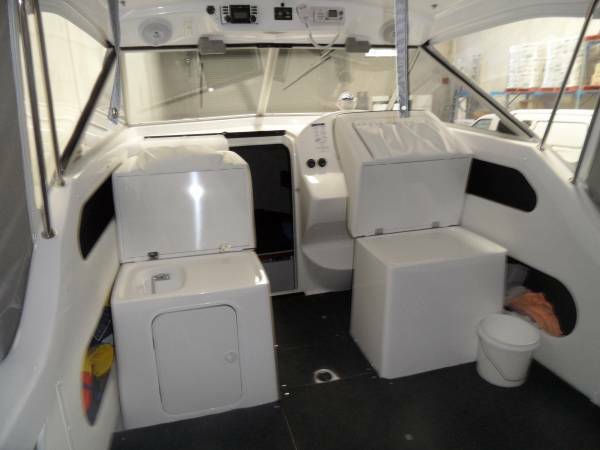 AT MANSFIELD MARINE YOU WILL GET THE BEST DEAL. WE HAVE BUILT OUR BUSINESS ON PRIDE, SERVICE AND VALUED REPEAT CUSTOMERS. IF YOU WANT THE BEST BOATS AND THE BEST QUALIFIED SERVICE THEN PLEASE CALL US ABOUT CARIBBEAN CRUISERS AND HOW WE CAN HELP YOU. 2 x fire ext, 1 x offshore flare kit and a 27mz or VHF radio. 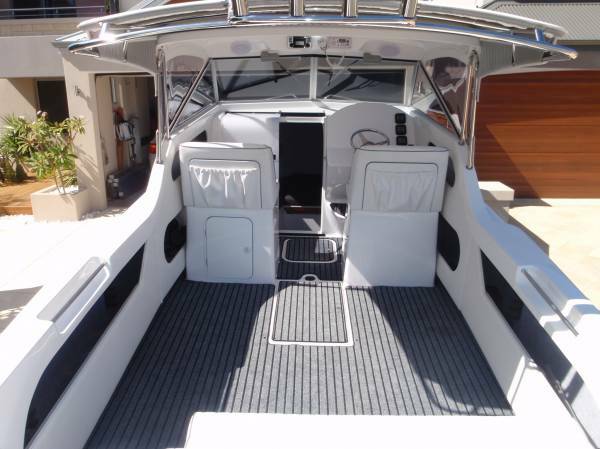 This is one perfect all round family / fishing boat. Un beatable blue water performance and resale value. 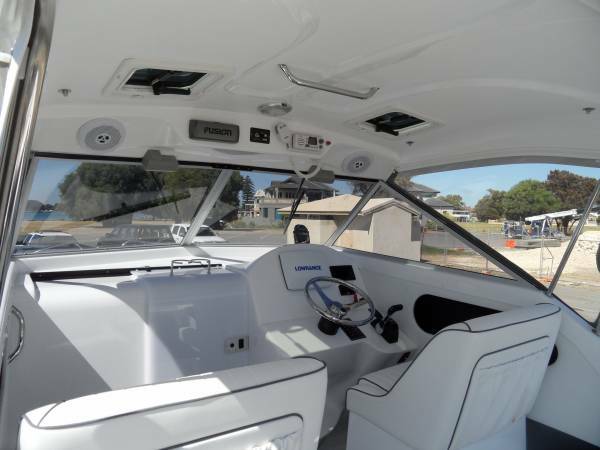 Some factual material in respect of the Vessel contained herein was provided by the Owner to the Broker and has not been independently verified by the Broker. A prospective purchaser should not rely on this information without first checking the accuracy of same either with the owner or independently by the engagement of any or all of the following; Marine Engineer, Shipwright and Surveyor.